Great for night Trout Fishing! For Inshore and Nearshore Fishing Charters we fish from a 2015 Pathfinder 24Trs. She is powered by a quiet Yamaha 250 sho Four Stroke with a jack plate, and equipped with dual 10ft power poles for shallow water anchoring. 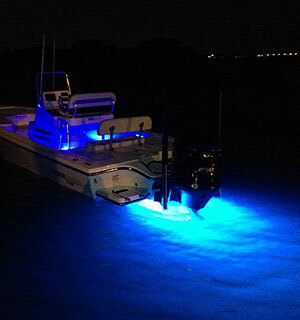 The Pathfinder is rigged for everything from backwater fishing to catching king fish offshore. She is also equipped with a minn Kota i-Pilot trolling motor for quietly stalking redfish. 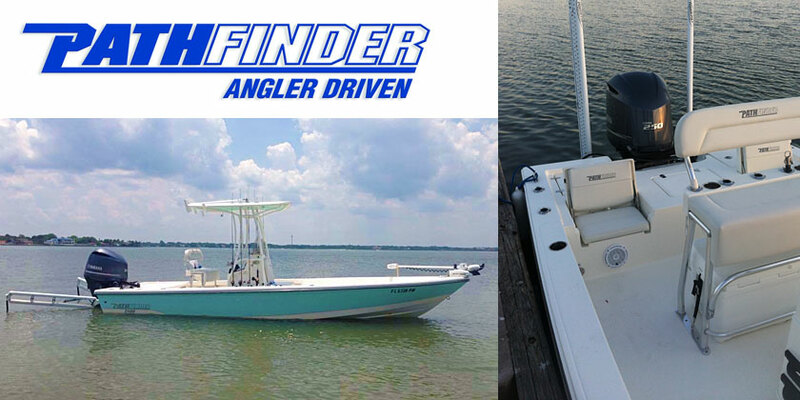 Additional features include a fish finder, chart plotter, dual VHF, CD player, and blue L.E.D. under water lights. Up to 4 anglers can enjoy a dry, comfortable ride and sturdy fishing platform. It has ample dry storage, and a Yeti cooler to keep refreshments cold the entire trip. We're equipped with the finest fishing gear from Shimano Stradic reels, St. Croix fishing rods and Tfo Fly Rods & Reels. Every precaution is taken to provide the safest possible environment, and ensure you get the most enjoyment from your trip. For added security, we bring a cellular phone, an EPIRB, and the best safest equipment available.